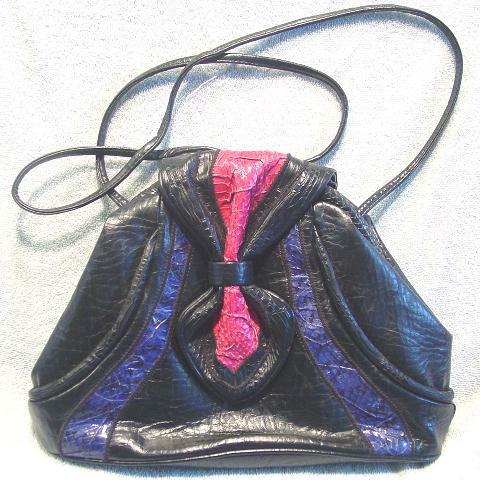 This black faux leather purse has embossed snakeskin accents in hot rose-pink and dark blue and is by Sylvia Cee. It has an interesting shape and a 50" long by 1/4" wide shoulder strap which can be tucked inside so you can carry it as a large clutch. 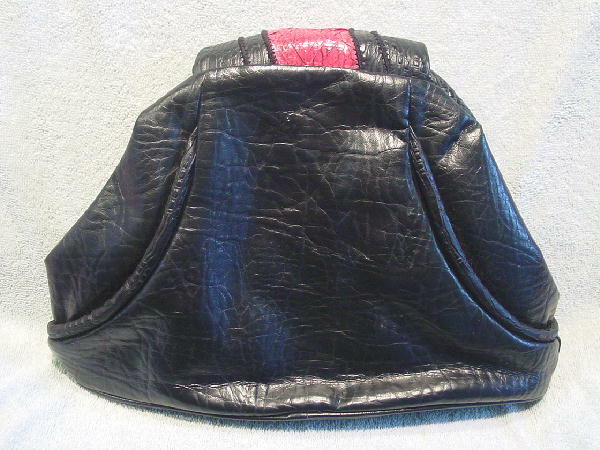 There is a black fabric (it has some body to it) lining and an interior zippered pocket. 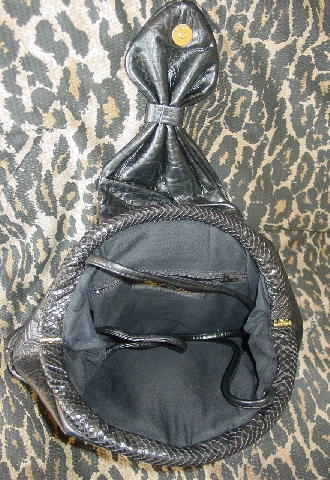 The mouth of the purse is covered in a faux snakeskin and it has side hinges. It has a hidden magnetic snap closure behind the outer flap.